If you are looking for a summer beach rental or hoping to take advantage of a beach vacation home in the off-season your options are plentiful. 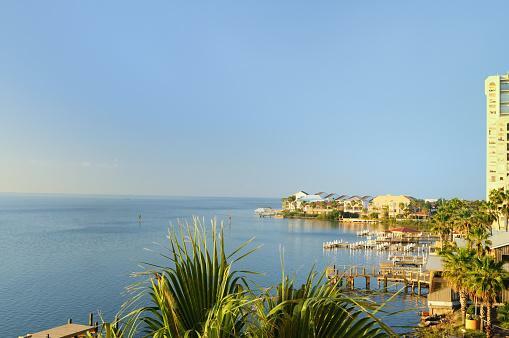 There are several destinations within the United States that are known for their idyllic beaches and wide selection of vacation home rentals. 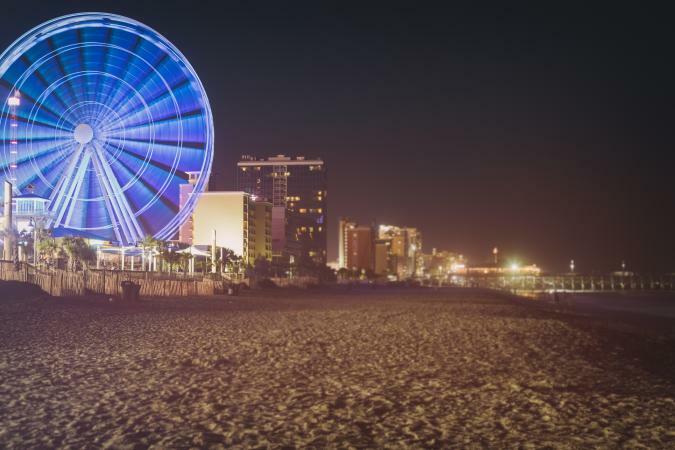 Myrtle Beach is a coastal city on the east coast, renowned for its 60 miles of beautiful sandy beaches. In addition to the popular pastime of lounging on the beach, there is endless shopping, lots of entertainment, great dining, and plenty of adventure waiting for travelers here. One of the reasons Myrtle Beach is so popular is the variety of lodging options and its affordability. Unlike some beach destinations that primarily cater to the very wealthy, Myrtle Beach offers something for everyone. With 60 miles of beaches, you'll find a large supply of vacation rentals in Myrtle Beach. Please note, some rental companies only allow check in on certain days, typically Saturday, and there is often a minium required stay. Dunes Realty is a specialist in Myrtle Beach vacation home rentals. Their properties run from moderately priced oceanfront homes for a couple to luxurious villas that would be ideal for big family trips. Siesta Beach has found its way on a number of "best beaches in the US" lists, including University professor Stephen Leatherman's, known as "Dr. Beach." It also made the #1 pick for TripAdvisor's 2017 Travelers' Choice Top 25 Beaches in the US. With a $21 million makeover and a number of renovations and restorations, it's no wonder Siesta Beach has earned such high praise. Siesta Key beaches are known for having some of the whitest sand beaches in all of Florida. They are nearly 100% pure quartz crystals, which are very soft and fine, and never get hot on your feet. 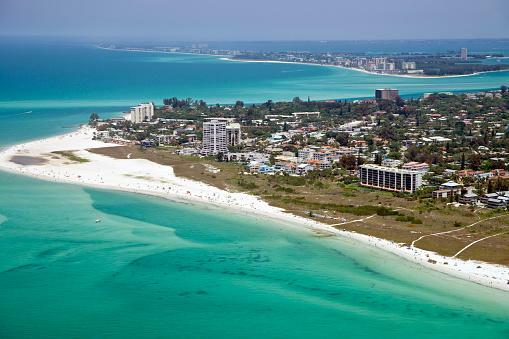 Siesta Key is near Sarasota and its primary public beach is Siesta Beach. Although the island is only 8 miles long, there is still plenty of shopping, dining, and nightlife for those who want something to do. Simply Siesta Key has an interesting and somewhat quirky list of 50 fun and free things to do on the island. Coronado is a beach resort located across the bay from downtown San Diego. It's sometimes referred to as Coronado Island, but it's not actually an island as it's connected to the "mainland" by a neck of land called the Silver Strand. Coronado Beach has taken the top spot in several "Best Beaches in America" lists and polls over the years. It's great for romantic getaways or fun-filled beach vacations and the sands actually sparkle here, thanks to mineral mica. At only a mile or so between the San Diego Bay side of the peninsula to the ocean, Coronado is easily explored by foot or on a bicycle. 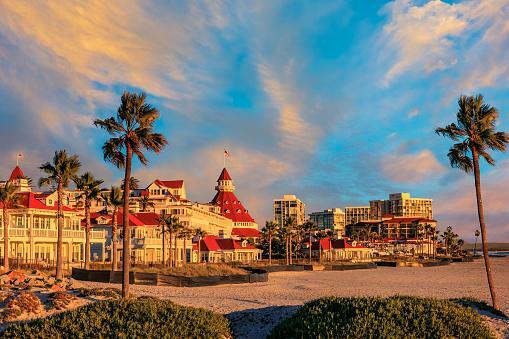 The Hotel Del Coronado is probably the most recognizable landmark in the area and dates back to 1888. While tourism helped Coronado get its start, its military presence today is key. Breakers Beach is one of the best beaches in the area, but it's part of the naval base and therefore not open to the public. If you have military ID (active or retired), you may be able to access some areas of the base, like Fiddlers Cove Marina and Breakers Beach. If not, take a North Island Naval Station tour, play a round of golf, book a romantic gondola ride through the canals, or just relax on Coronado Beach. If you're traveling with four legged friends, don't miss the Coronado Dog Beach just outside the naval base entrance. Another popular option is to take a day trip into Tijuana as it's less than an hour's drive from Coronado. Be sure to have your passport with you. Park on the US side and walk across the river and into Mexico where you can shop, eat, and explore. If you want to stay within California, head north and visit other nearby famed coastal areas like Orange County's Laguna Beach. Vacation rentals in Coronado aren't as plentiful as other beach destinations, but there are a number of options right in Coronado. Bring Fido has a number of pet friendly options as well. South Padre Island is quite popular for Spring Break parties, but it's also an ideal beach vacation destination. It's the only island in Texas and, unlike some other beaches in the state, the water is relatively clear and much cleaner. The widest part of the island is only a half-mile wide, so you're always close to the ocean as well. 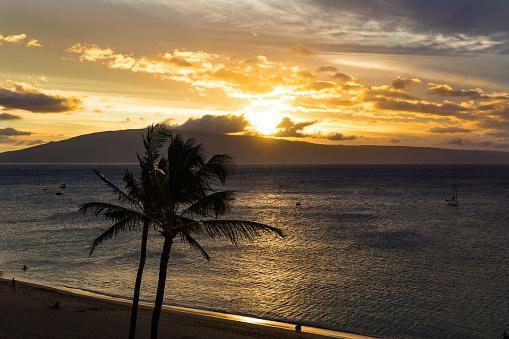 Located in Lahaina on Maui, this is considered one of Hawaii's best beaches. Coastal Living Magazine readers named it #2 beach in their list of Top 25 Beaches in America. It was primarily a former retreat for Maui's royalty, but today it draws tourists in from all around the world. It was Hawaii's first planned resort and you'll find hotels and condo villages facing the direct beach, along with countless vacation rentals nearby. Start by choosing what destination's beach calls to you and figure out what time of year you want to visit. If you have the opportunity to visit during off-peak times, you may get a great deal on your dream beachfront vacation home. Be sure to compare prices and listings, as there are some smaller specialty rental sites that focus on vacation homes in specific destinations, so you get the benefit of local experts and a concentrated pool of listings to choose from. And, be sure to book as far in advance as possible, because these popular beach destinations can fill up, even in non-peak times.